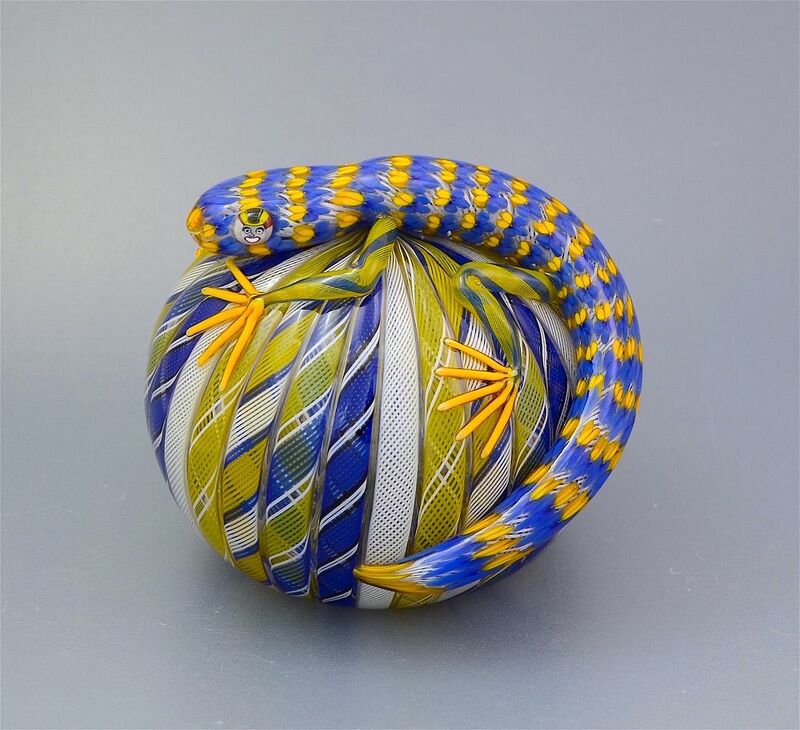 This absolutely fabulous lizard paperweight was made by Michael Hunter for Twists Glass in 2016. The base is a large hollow blown urchin weight of 30 zanfirico canes in colours of yellow blue white and green arranged in a regular pattern with a large lizard crawling across the top. The lizard has a body made of blue and yellow pansy canes overlaying a white zanfirico cane centre with face canes for eyes and yellow & blue zanfirico cane legs with each foot made of 5 yellow canes. Mike's personal "MH" cane is set into the side and the base is scratch signed "M Hunter Twists 16" and has the Twists Glass studio label.